Brenda is passionate about the needs and goals of her clients and specializes in bringing peace of mind to home buyers and sellers all the way through the process. She is a 15-year veteran who grew upon the Terre Haute area. 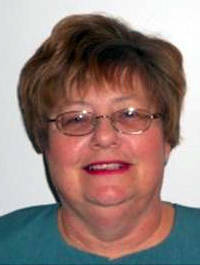 Brenda is big on family with a devotion to God, her husband, 2 children and 2 grandchildren. 3 bedroom, 2 bath home in Marywood Subdivision in move-in condition. Home features an open concept living, dining & fully-applianced kitchen plus a split bedroom floor plan. Newer windows, patio door, garbage disposal, carpet in 2 bedrooms plus updated baths. Outside you will enjoy the deck, nice-sized back yard, 1-car attached garage & 12 x 16 storage shed.Lots of updates, move-in ready. No attic access.